FuFuckup Nights is a global movement born in Mexico in 2012 to share publicly business failure stories. Hundreds of people attend each event to hear three to four entrepreneurs share their failures. Each speaker is given 7 minutes and is able to use 10 images. After each speaker, there’s a question/answer session, as well as time for networking. 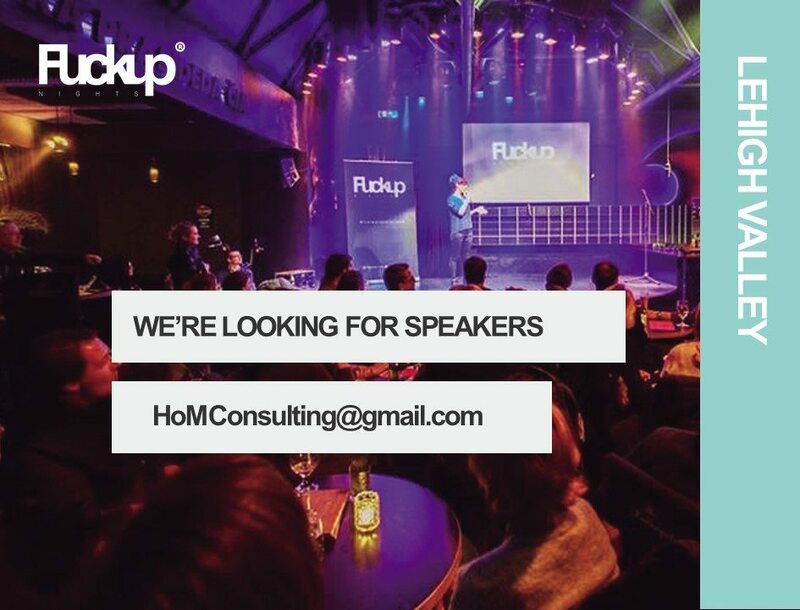 We are in search of speakers. Kate will help and guide you on what will make the best presentation for Lehigh Valley Fuckup Nights and deliver your story to the audience. CLICK HERE TO SUBMIT TO BECOME A SPEAKER.